Punxsutawney Phil predicted spring would arrive a few weeks late this year, so let's blame my delayed posting of this March PopSugar Must Have review on the clairvoyant groundhog, ok? 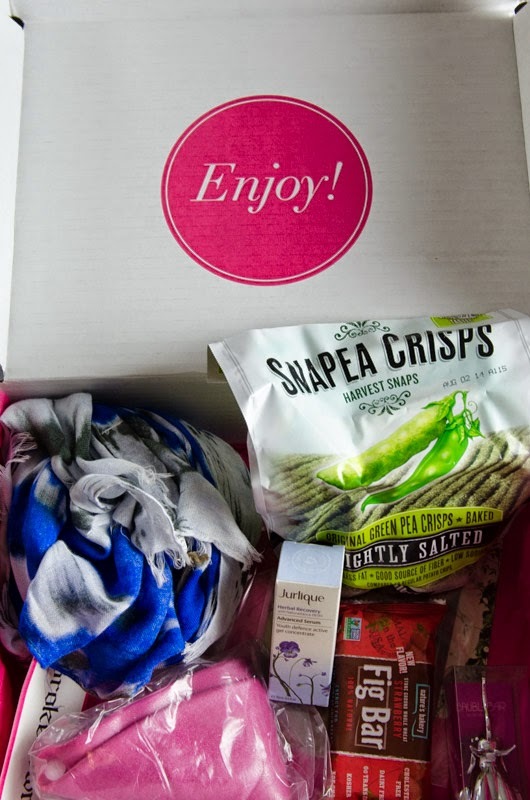 PopSugar Must Have is a monthly lifestyle subscription box curated by the editors of the PopSugar website. 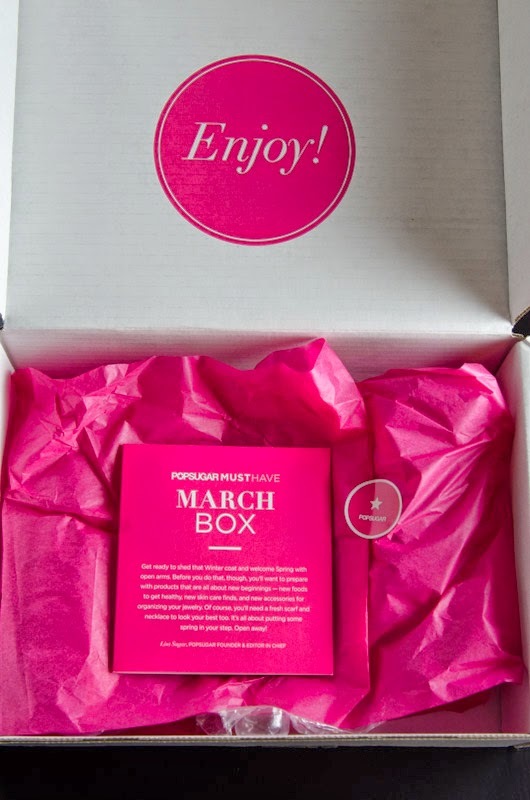 For $39.95 per month (plus tax; shipping is free), you'll receive a box filled with full-sized items plucked from the pages of the PopSugar website and the editors' wish lists. You can check out my February Must Have review here if you want to get a better idea of what you might expect from this sub. Get ready to shed that Winter coat and welcome Spring with open arms. Before you do that, though, you'll want to prepare with products that are all about new beginnings -- new foods to get healthy, new skin care finds, and new accessories for organizing your jewelry. Of course, you'll need a fresh scarf and necklace to look your best too. It's all about putting some spring in your step. Open away! I don't know about the rest of you guys, but we're definitely feeling the early warnings of spring in South Florida, with our balmy "wintertime" 70-degree temps creeping up into the 80s range. We probably look forward to spring a lot less than most of you guys down here in the subtropics (summer is a nonstop sauna cranked to high, all the time), but hey, the pill does go down a little more easily with the help of some sub box goodies. A colorful, spring-y unboxing! Off to a good start. This beautiful, super-soft scarf was my most anticipated and probably favorite item in the box. A couple of years ago, soon after Must Have got its start, I missed out on the fabled September box (or was it October? 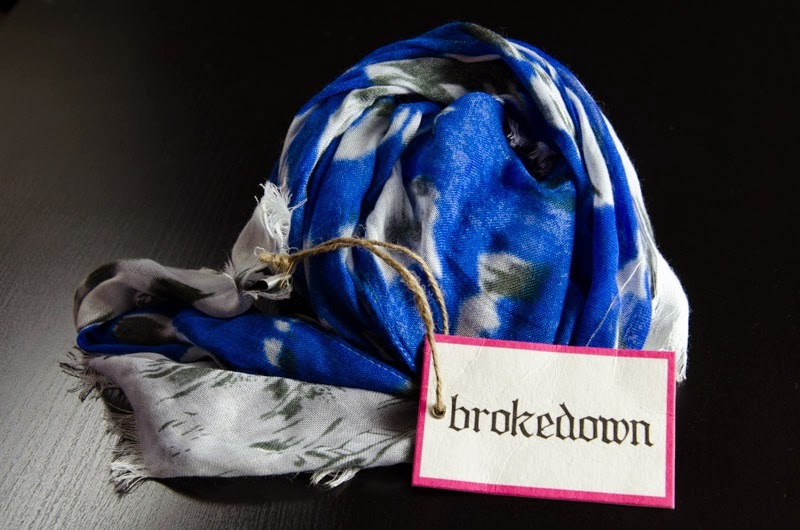 ), which included a gorgeous gray Brokedown scarf -- so I was so psyched to get a do-over this month! I love scarves, and plan to get tons of wear out of this one. Also, at $72, this is a major score! Woo! This little guy is also a contender for favorite. He is incredibly adorable and functional! Also, I'd been looking for a companion or two for my fox ring holder, so he arrived right on time. 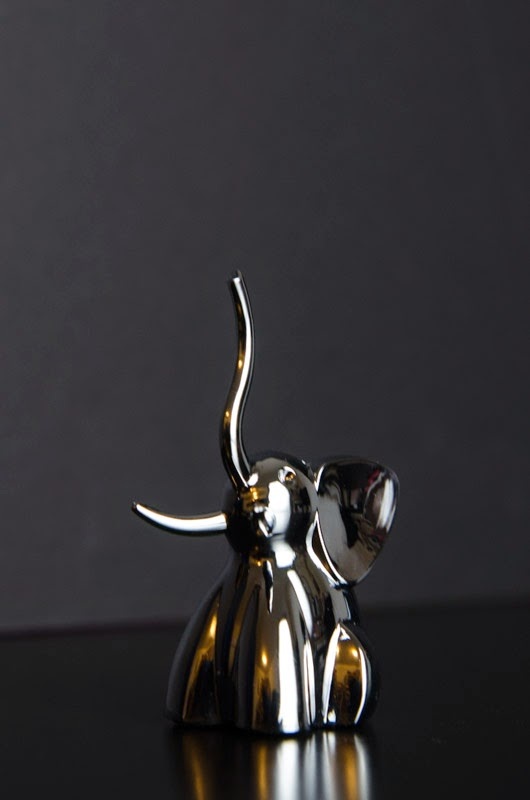 He is a solid, silver-chrome plated dude with a felted bottom that won't scratch up your dresser. Love. 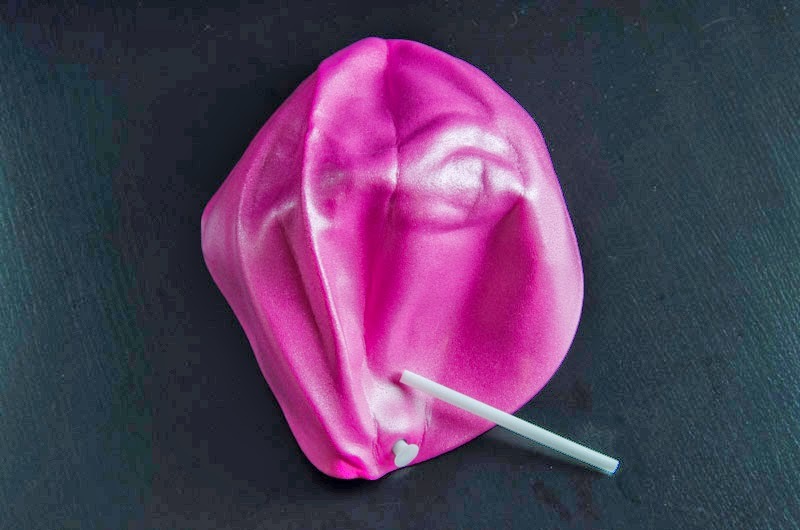 We had fun shooting him for the blog -- turns out he's really photogenic. I love serums. I have no idea whether or not they're actually effective, but it makes me feel good to slather these antioxidant concoctions on my face and imagine they're working to reverse aging and nourish my skin and all that good stuff. 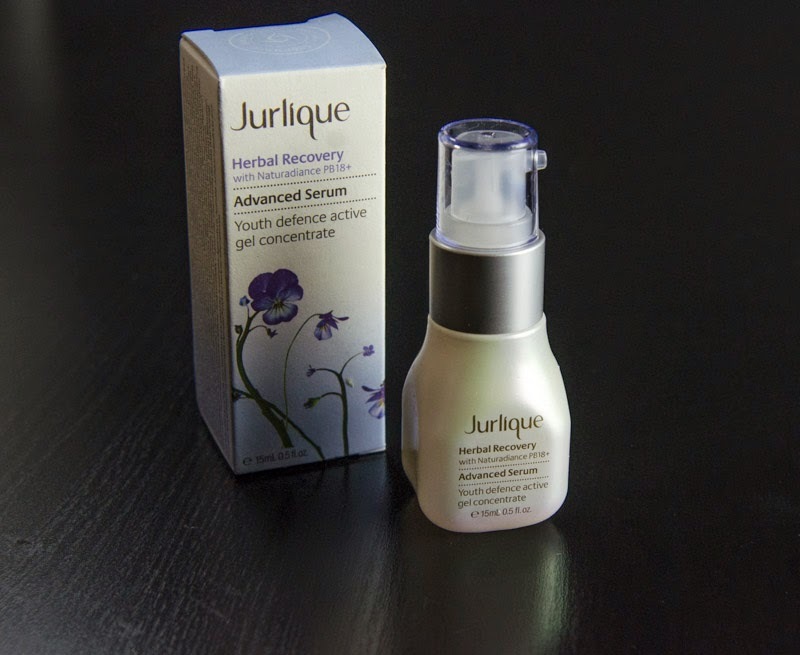 I've been using this Jurlique serum since I received it in the Must Have box, and it's fantastic: super fast-absorbing, lightly and pleasantly scented, and it leaves my skin feeling soft and smooth. Win. Maybe packed with St. Patty's Day in mind? Either way, I'm always game for a charm necklace. I do wish the charm came on a fine gold chain rather than a string, but it's still pretty -- and the charm can easily be placed on a chain of my own. The horseshoe is gold-dipped, and the thread is brown silk. 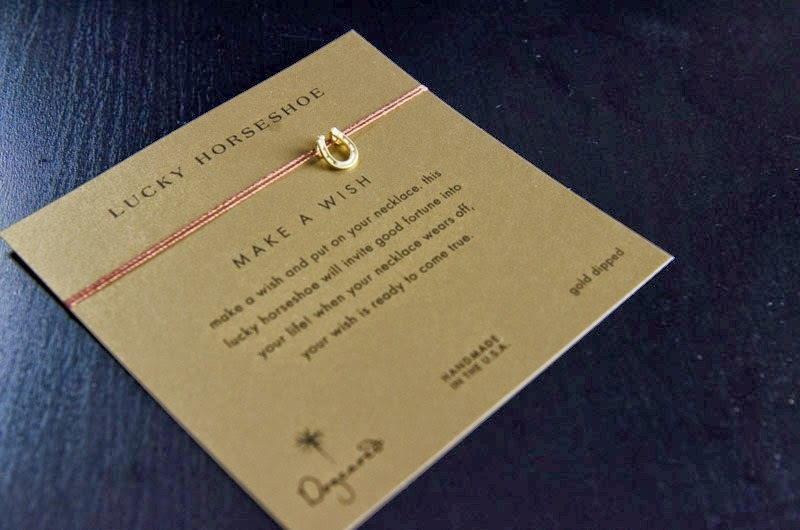 According to the attached card, you're supposed to make a wish and then wear this necklace until the thread wears and it falls off, at which point your wish will come true. Nice backstory, though I think I'd rather keep the charm, thank you! We've finally caught up to Japan! Japanese manufacturer Calbee has been making snow pea crisps for years, so I guess it was just a matter of time until the fad caught on in the US, because these things are delicious. With a slight hint of pea sweetness, these are crispy, salty, airy miracle puffs. Insanely addictive and yummy. 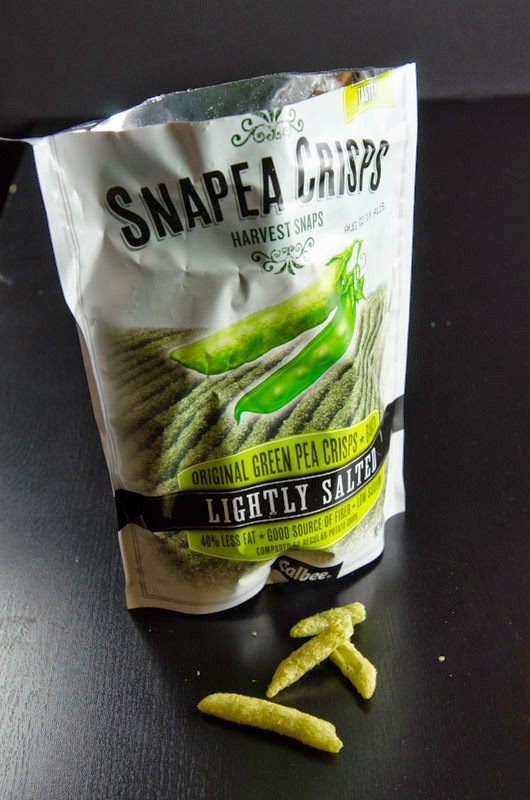 The Japanese version of these, Calbee's Saya Snow Pea Crisps, is superior in my humble opinion, mainly because it's far less greasy -- the Snapeas left oil beads all over the inside of the bag. 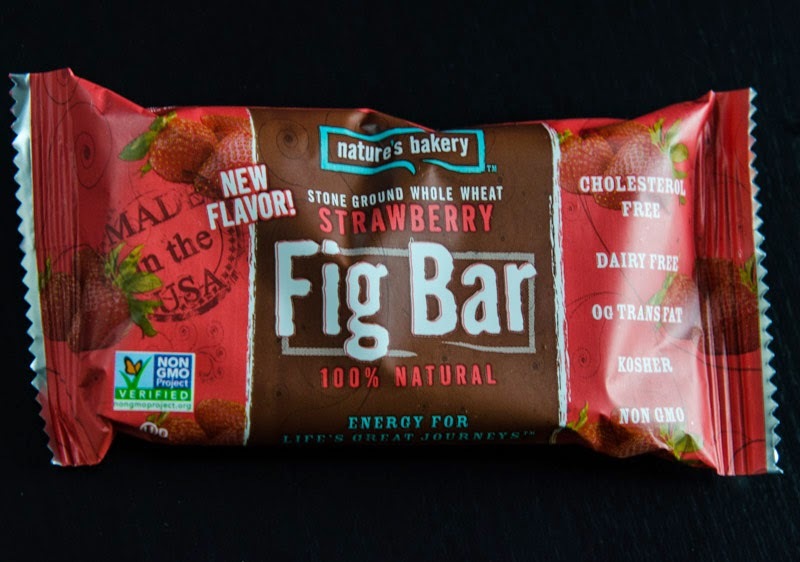 Nature's Bakery All Natural Strawberry Fig Bars. About $3 or $4 for a box of 6 at Walmart. Also available in bulk on Amazon. This was labeled as a "special extra" in the info booklet, and I was very happy to see it. I first spotted and picked these up at Walmart some months ago, and I've been a fan ever since. They're a vast improvement over the bland and artificial Fig Newton -- you can actually taste the natural ingredients here. Needless to say, I loved this box. The items were interesting and useful and fun, and came to a whopping retail value of about $153. PopSugar's set the bar a wee bit high -- how on Earth is April going to measure up? Was this one of your favorite Must Have boxes too? What did you like best? 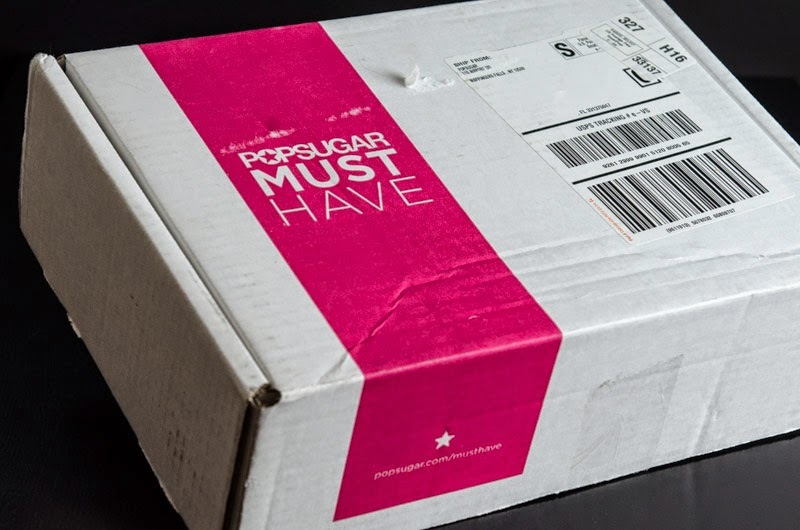 As always, if you're interested in finding out more about PopSugar Must Have or would like to sign up, please feel free to use my referral link (thank you!). Use code REFER5 to get $5 off your first box. Oh, and if you're into spoilers and want to know what to expect from the April Must Have box, check out photos and price breakdowns over at MommySplurge's blog. This post may contain affiliate links, referral links, or other forms of advertising for compensation. Regardless, all opinions are my own and never affected or influenced by sponsorship. For full disclaimer and disclosure details, click the disclosure tab above. He is photogenic! 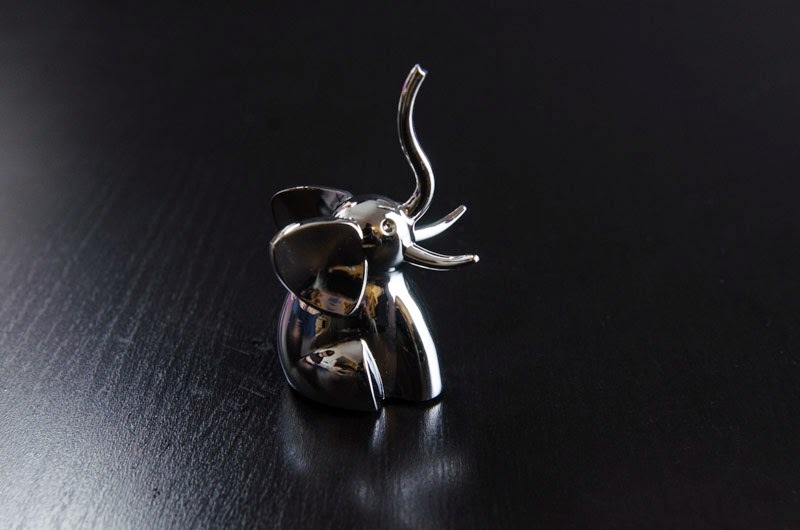 What a cute elephant! This box looks great, and the spoilers for next month look awesome too! I know! PopSugar has been on a roll lately. My poor wallet! That elephant is adorable. And Dogearred has great sales to stock up on easy gifts for milestones in your friends' lives. Dogeared makes such great gifts, I totally agree. Super cute, thoughtful, and quality jewelry. boxfullove prizes :: SquareHue box giveaway!